Shoppers won't be the only ones lined up outside some Walmart stores on Black Friday. 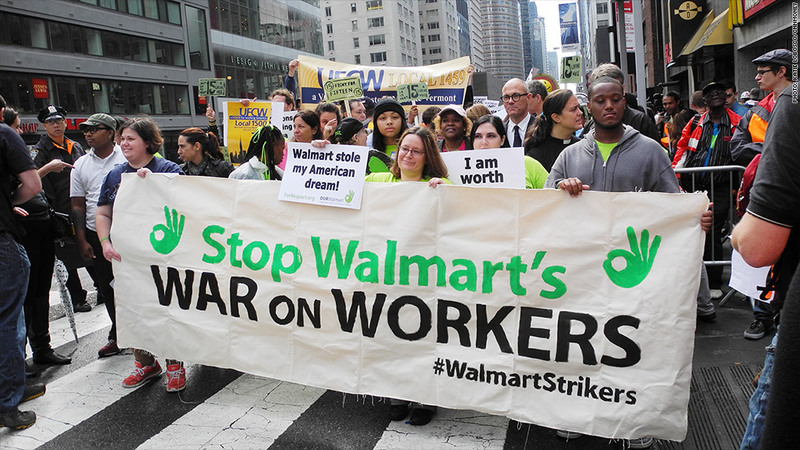 Some aggrieved Walmart workers and their advocates have a slew of grievances. And for the third year in a row, they will air them on one of the busiest shopping days: Black Friday. Protesters are expected to gather outside 1,600 Walmart (WMT) stores across the country as the retailer launches doorbuster deals. That would be more than ever before, according to organizers. Some demonstrations are planned for Wednesday, while others will take place on Thanksgiving Day or Black Friday. Among the bigger events are expected in Los Angeles, Washington D.C., Chicago, Tampa, Dallas, Denver and Sacramento. Walmart has 4,281 U.S. stores. Some workers are expected to strike, walking off the job during their shift. They will be joined by teachers and other community leaders. The demonstrators are backed by groups like OUR Walmart, which has union ties. And they are calling for higher wages (a minimum of $15 an hour) and fair schedules. In response, a Walmart (WMT)spokeswoman said a lot of the demonstrators are not Walmart workers and do not accurately reflect the views of its employees. 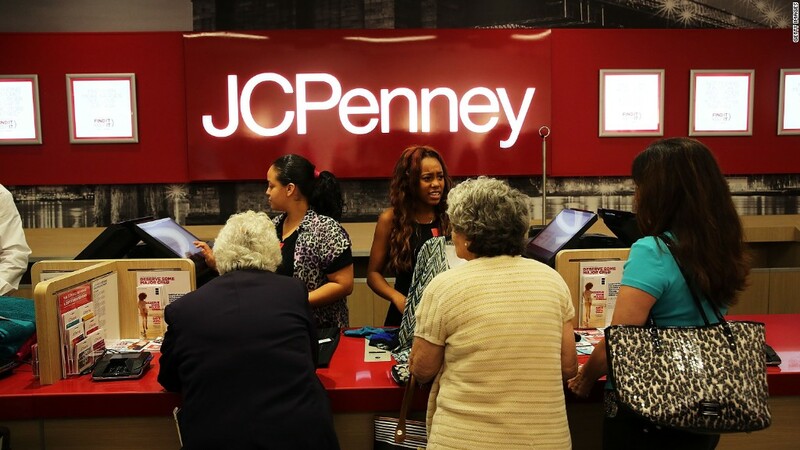 CEO Doug McMillon said last month that only 6,000 of the company's 1.3 million U.S. workers are paid at the minimum wage. He vowed that the company would eventually pay all its workers above the minimum wage. At least one Walmart employee planning to protest this week said it's not just about money. "We're overworked, underpaid and disrespected," said Shomari Lewis, who works overnights in Arlington, Texas, stocking inventory. One of his biggest complaints: He says his workload has increased over the past couple of years, without what he feels is a commensurate increase in pay. Walmart protesters come out from time to time throughout the year, but most demonstrations happen around Black Friday. Fast-food and other retail workers have also been protesting in recent years, asking to be paid a living wage.